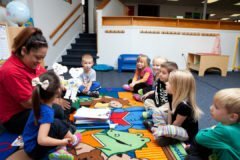 Apple Tree Orchard Preschool & Childcare strives to provide the best possible preschool in Papillion by providing an invaluable experience for your child. That means offering them attention and affection in a structured environment. At Apple Tree Orchard, we want your child to know that every day spent in our daycare or preschool programs will allow them to learn, play, and explore the world around them. We believe that children build knowledge and self-confidence by having the opportunity to learn new skills and having those new found abilities appreciated by people they know and trust. In order to help your child have the best possible experience, we not only offer structured lessons about what they will need to be successful and happy when beginning the school years, but the chance to be creative, playful, social, and imaginative. Apple Tree Orchard Preschool & Childcare encourages parents to engage in the development of their children because parents are the most important part in the growth and education of a child. Part of the success of our preschool and childcare programs is the involvement of the parents and family. We are the daycare and preschool Papillion trusts. 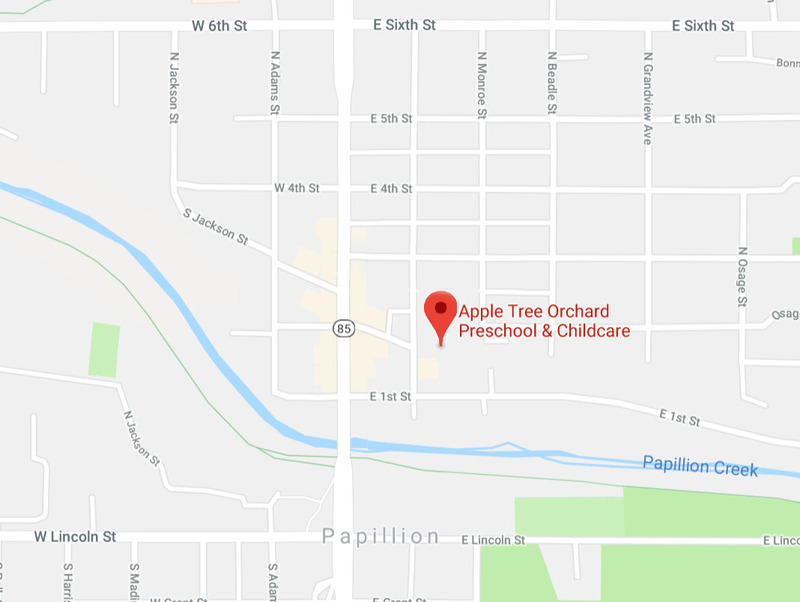 Established in 2000, Apple Tree Orchard is a single-site, family owned and operated preschool and child care center in Papillion, a suburb of Omaha. To learn more about our Papillion daycare, early childhood education program, and preschool curriculum, call Apple Tree Orchard today at (402) 827-7537 or contact us online.